Ringing in the New Year in an exotic locale is something many aspire to, but you don’t have to break the bank to have a good time. According to a new WalletHub survey, 83 percent of consumers spend up to $200 on New Year’s Eve (although, you can go much, much higher). There are a number of options this year for those looking to keep spending at normal levels. WalletHub ranked cities for the budget-minded New Year’s Eve reveler based on their entertainment options, costs and safety. While New York came in at the top for entertainment and as the overall most fun destination in which to celebrate, many other cities offer equally exciting opportunities as well as the chance to keep more money in your pockets. Orlando, Florida, is ranked fourth for NYE entertainment options but is just number 21 in terms of cost. Atlanta is another great city for revelers, coming in at number five for the entertainment category and just 41st for costs. However, it looks like ringing in the New Year in the West is really the way to go. 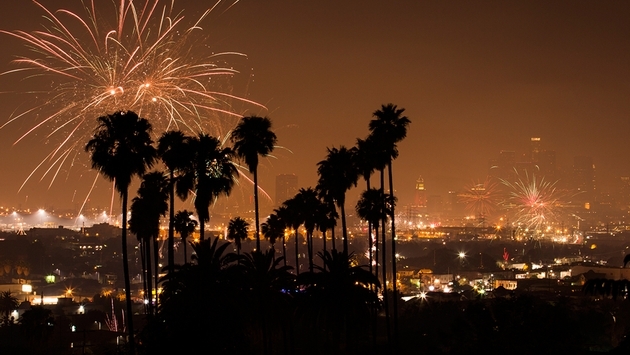 Los Angeles, San Diego and Las Vegas were all top-10 overall cities for celebrating the last night of the year but were in the middle when it came to costs. For those who are planning a big night out, there’s no time to waste. “Start planning as soon as possible,” said Christine A. Vogt, professor and director of the center for sustainable tourism in the College of Public Service and Community Solutions at Arizona State University. “Spend an evening or weekend afternoon exploring the web for ideas or deals. Try your usual online travel agencies and then try a few new ones. In 2017, I found myself using Google Flights more than Expedia or Kayak because I liked the search criteria functionality." Budgeting is also an important part of the planning process. No one wants to celebrate New Year’s while worrying that they overspent. For those with unlimited funds, who are willing to splash some cash on their New Year’s fun, here are the top-ranked NYE cities for entertainment and food in the U.S.